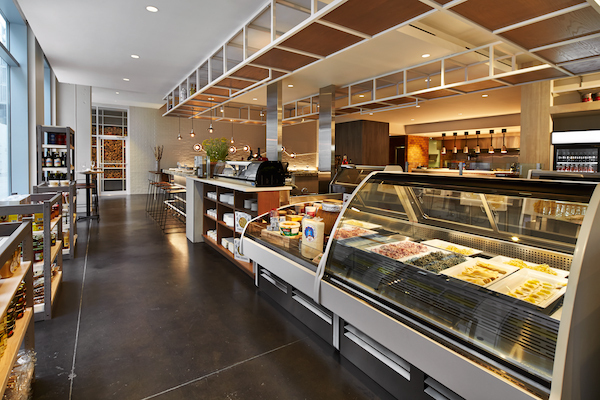 Sometimes you want to sit and savor a meal at a restaurant; other times you just want to pop in to grab a bite to go or a few specialty ingredients to elevate a home-cooked meal. Thanks to innovative restaurateurs, you can now do both. 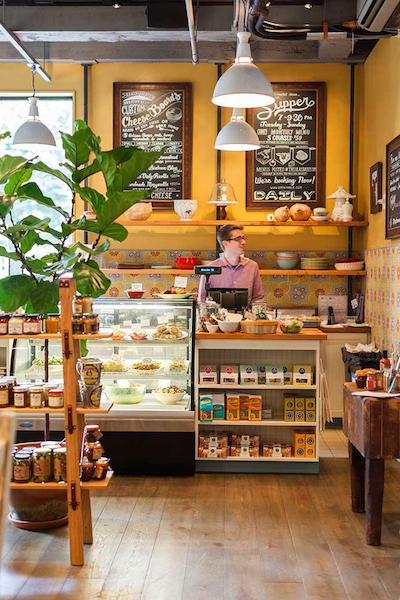 These enterprising eateries are complemented by onsite bazaars brimming with freshly made foods, premiere wines, and hand-selected collections of boutique brand gourmet goods. 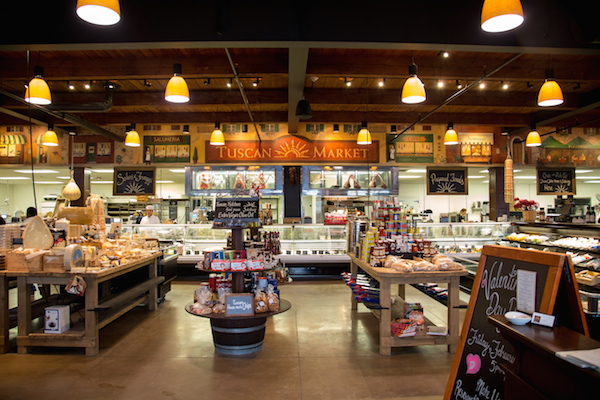 Here are nine top restaurants with markets that make dining out and stocking up a breeze. Like the lights? Coveting that chair? You can purchase almost every design element in the place directly from the restaurant. If you’re just in the mood to dine and sip wine, you can take home any of the 250+ vintages on the list or anything on the menu, plus a variety of specialty goods. The back wall of the Neapolitan eatery is consumed with a virtual pantry of Italian ingredients. 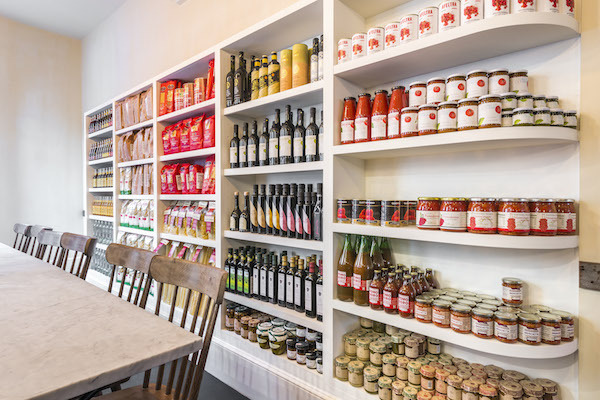 Expect to find San Marzano tomatoes, Caputo flour, artisanal dried Alfeltra pasta from Gragnano, and black truffle salt. To wash it down, there are bibite (Italian sodas) and plenty of vino. 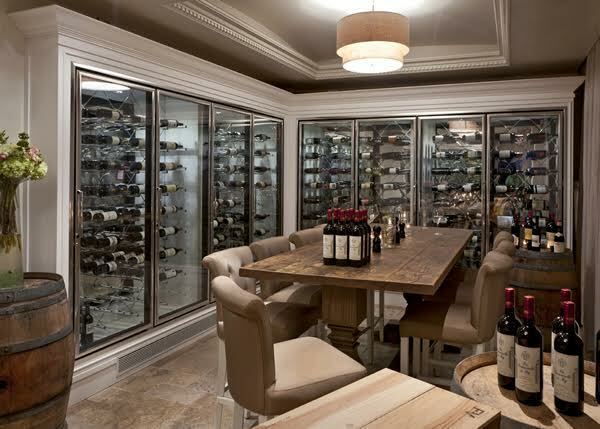 There are man caves, and then there’s La Cave D’Azur. 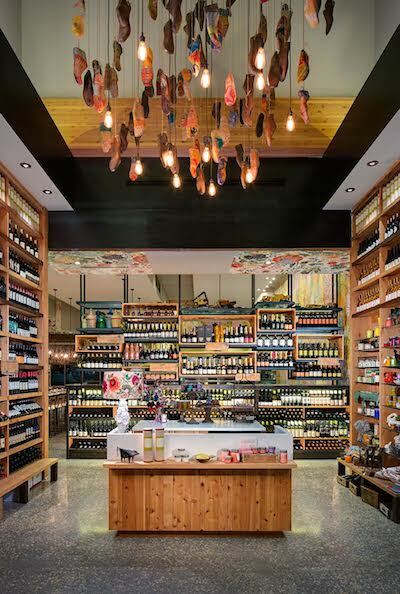 The storefront wine cellar of this Medi-minded restaurant is ringed with temperature-controlled glass cases filled with premiere vintages to drink on site. Or, you can take a few bottles home to sip in your sanctuary. 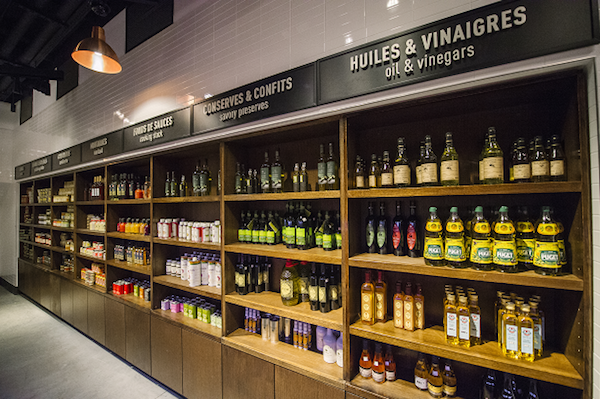 Supper club by night, this charmer is a grab ‘n’ go marketplace by day. Pick up a cup of La Colombe coffee (though we can never resist the caramel sea salt latte) a fresh-from-the-oven loaf, ready-to-heat-and-eat dinners, sandwiches, and small-batch farmstead cheeses. Don’t forget the craft beer or some fermented grape juice – you deserve it. It’s easy to put together an unforgettable Italian meal here given all the handmade pastas and sauces that are available. One particularly stellar combo is the Maine lobster-stuffed ravioli topped with creamy lobster brodo sauce. Sop up whatever remains with a boule of fresh-baked bread, and then enjoy some gourmet gelato for dessert. Fig & Olive, Washington, D.C. 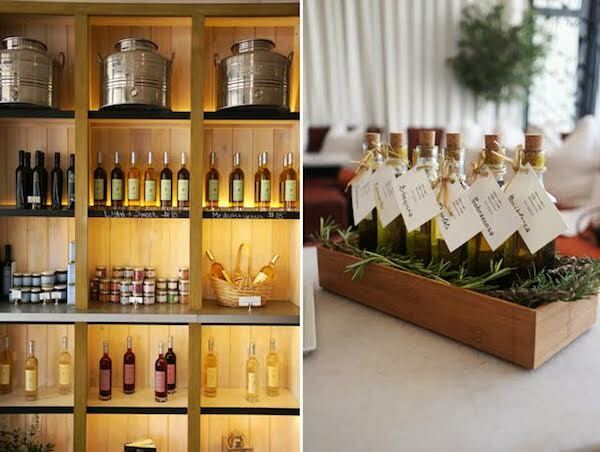 The market here focuses on artisan olive oils – of course! – plus vinegars, spices, and spreads. Choose one of the infused olive oils, which come in flavors such as blood orange, Meyer lemon, basil, and white truffle. Conveniently, each purchase comes with a free “Olive Oil Guide” alongside tips on how to host an olive oil tasting at home. When you finish your meal at this French-accented emporium, step around the corner to the market district to pick up treats at the specialty stations. You’ll find a boulangerie, fromagerie, charcuterie, rotisserie, boucherie, le comptoir, and poissonnerie. There’s even a fleuriste, where you can select freshly cut stems to decorate your dinner table. Which restaurants do you wish had their own markets? Share your to-dine-for shopping wishes with us here or over on Facebook, G+, Instagram, Pinterest, or Twitter. 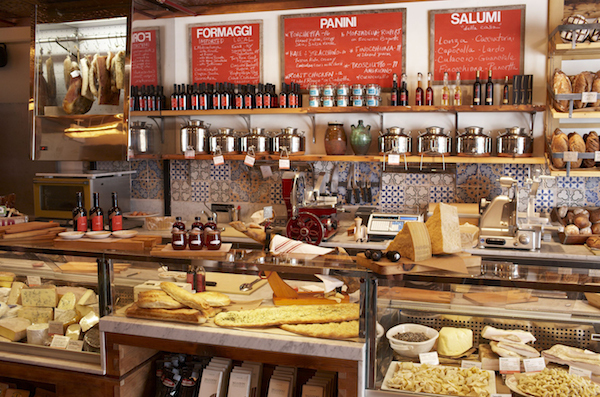 Thrilled to see Centrolina on your list of top restaurants with markets! Whatever I order, my plate is clean as a whistle when I’m done. I can’t tell you my favorite entree because the menu changes frequently. Then, before I leave (thank goodness) I can stop at Chef Amy’s market and stock up on goodies to get me through to my next visit: fresh pastas (my favorite the ravioli), some eggplant Caponata, an array of cheeses I can’t decide between, a couple of the tomato sauces (my favorite the beef), homemade meatballs, fresh swordfish, capers, fresh bread and butter, cookies and peach scones. DONE! Now…how soon can I get back there?